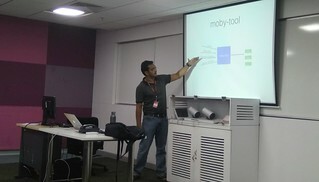 I started the session by giving the overview of the Moby Project. After the break Girish talked about state of Docker in the Microsoft world and showed us how to deploy a .NET application using Docker on Kubernetes. His slides are available here and video above. Understanding and troubleshooting Docker networking is one of the interesting and challenging part, when we deploy Docker in production. Sreenivas covered common networking issues and shared troubleshooting tips. The last talk of the day was from our first time speaker Rathneesh on Docker multi stage builds. His session was very well received and we got good feedback about it. His presentation is available here and video above. In just few hours lots of knowledge got shared. Thanks to all the speakers and our host Sudipto and Pradipta at IBM to make it happen.